ASA 101 Ocean Sailing Basics is the first step and no previous experience or knowledge is required. I recommend you read ASA’s Sailing Made Easy before you start your lessons. The successful ASA 101+ Ocean Sailing Basics student will be able to sail a 36′ boat in light to moderate winds and sea conditions in the open ocean. 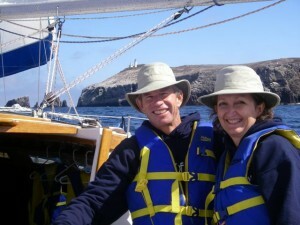 A graduate will master all points of sail and all fundamental maneuvers as skipper and as crew. There is major (major, major) emphasis on getting underway and docking. 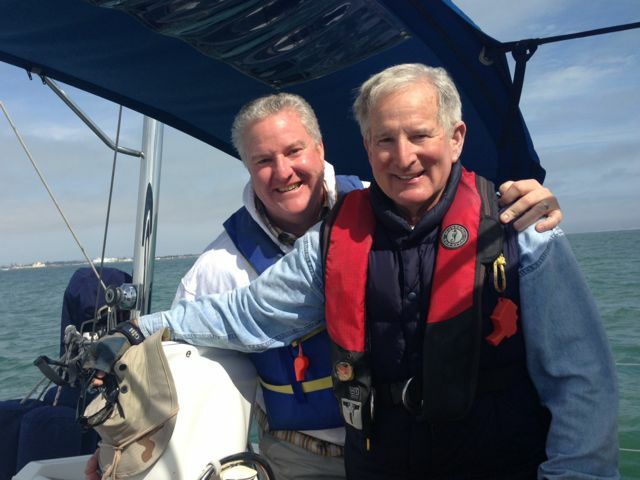 If you’ve never skippered a boat, this is the place to start. If it doesn’t work out for you – you get seasick for instance – you’re not locked in. Typically, three or four lessons, approximately 12 hours for a student who has minimum or absolutely no previous boating experience. Your crew (up to 3 total) is invited as well, and the hourly fee covers everyone.